Born William D'Arcy Cayton on June 6, 1918 in New York City. Cayton, who earned a degree in chemical engineering from the University of Maryland in 1937, began his half-century career in boxing as the owner of Cayton Inc., an advertising firm he founded in 1945. One of his clients, Chesebrough Manufacturing Company, sought to promote its Vaseline Brand hair tonic for men and Cayton suggested advertising on boxing telecasts. Cayton then set out to obtain rights to memorable bouts and soon acquired exclusive rights to boxing matches featuring Hall of Famers Jack Johnson, Jack Dempsey, Henry Armstrong and Joe Louis among others. Cayton then conceived and produced the Chesebrough-sponsored "Greatest Fights of the Century." A life-long, worldwide search for fight footage followed, including agreements with the IBC and Madison Square Garden for exclusive film rights to their bouts. In 1952, Cayton formed Big Fights, Inc and amassed the largest collection of fight films in the world. More importantly, the films were restored and transferred to tape to preserve the images from anticipated degeneration. In 1961, Hall of Famer Jim Jacobs joined forces with Cayton at Big Fights, Inc. Through the years, Big Fights produced countless features, including the documentary Jack Johnson, which earned an Academy-Award nomination. By the mid-1970's, Cayton and Jacobs began managing fighters and guided Edwin Rosario, Mike Tyson and Wilfred Benitez to world titles. Following Jacob's death in 1988, Cayton managed Tommy Morrison, Vinny Pazienza, and Jeremy Williams. 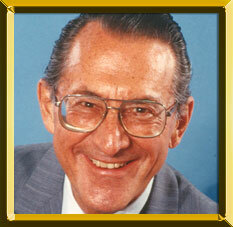 Following a battle with lung cancer, Cayton died on October 4, 2003 at age 85.